The Government of Romania has recently approved a €10M budget for propulsion system modernization (etc.) 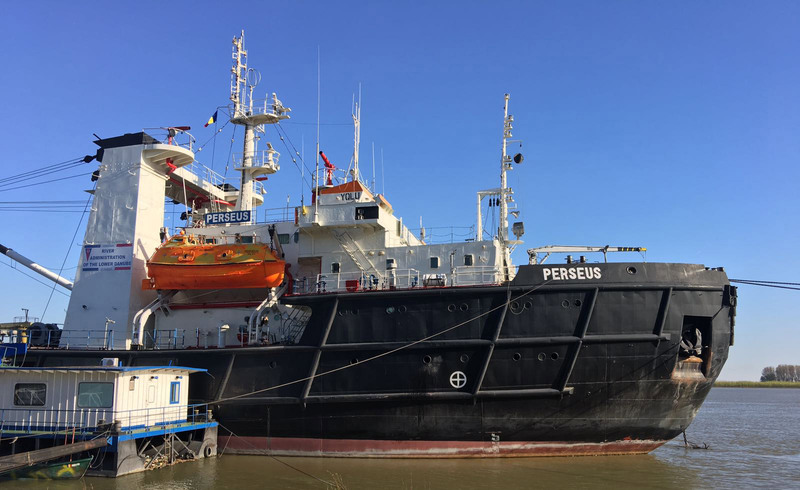 of the Perseus – its biggest icebreaker. Her permanent station is on the Danube river, a couple of hundred metres from ICE’s office where she was designed. The design of this vessel was completely performed by ICEPRONAV, including towing tank, manoeuvrability and cavitation tunnel tests. She was built in 1990 in nearby Braila shipyard. Upon modernisation she will be classed by BV as Salvage tug, firefighting ship 1, unrestricted navigation, ICE CLASS IA Super. ICE is pleased to see that a one of “its ships” after nearly 30 years of service is now getting an extended life.